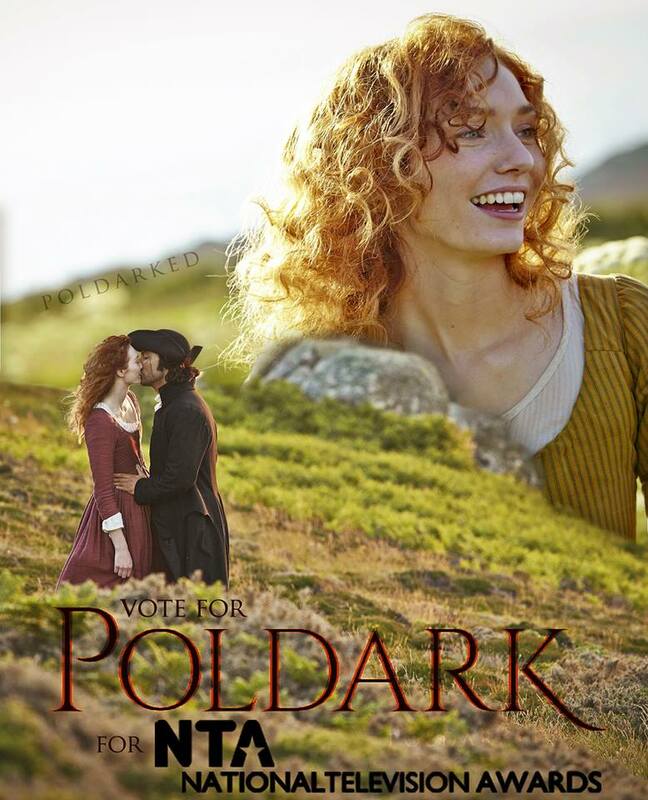 The nominations are out for the National Television Awards 2016 and Poldark, Aidan Turner and Eleanor Tomlinson are all contenders! The NT Awards are voted for by the public and voting is now open. The winners will be announced at the National TV Awards Ceremony at the O2 in London on 20 January 2016. Vote up to six times from the same telephone number using premium rate telephone service. Call 0905 647 2016. Calls cost 25p a minute plus network access charge and should last no longer than 7 minutes. You can also vote on the Official Entry Form available by calling 0844 646 2060 . Voting closes on 18 October. This is the long list of nominees from which the short list will be drawn for a second round of voting in January, 2016. 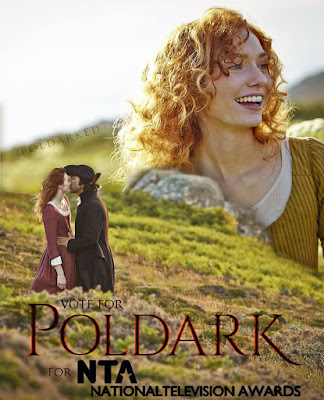 In previous years, votes from the long list and short list have been added together to decide the winners, so please vote now and in January to help Poldark win! The National TV Awards are also looking for the TV Moment of the Year. You can nominate as many as you like here http://www.nationaltvawards.com/tv-moment right up to 4 December, 2015.